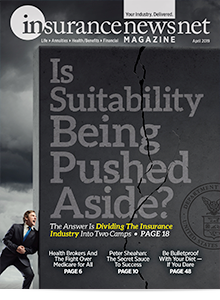 InsuranceNewsNet Magazine provides current and critical reporting on the insurance industry. 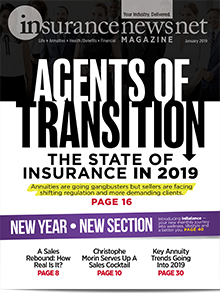 From breaking news on legislation to analysis of new product trends, we provide comprehensive coverage on life, health, annuity and financial topics. 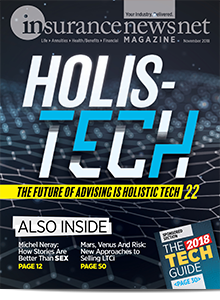 We also feature engaging interviews and articles from renowned thought leaders, so that our readers receive not only nuts-and-bolts knowledge, but also the advanced skills, tactics and inspiration to put it to work. This is how we fulfill our mission to strengthen the industry and ensure the success of hard-working independent advisors. 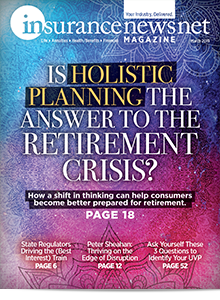 Original, ground-breaking news articles aimed at bringing a unique perspective on today's most important life, health and annuity topics. 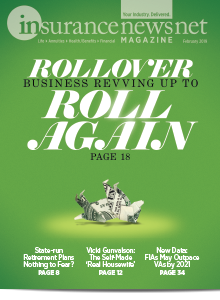 Easy-to-navigate format for busy and successful advisors. Candid insights from some of the greatest minds in the industry. 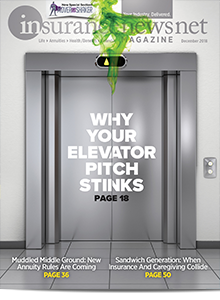 The most exciting read in the business recognized by peers with two dozen prestigious editorial, design and marketing awards.